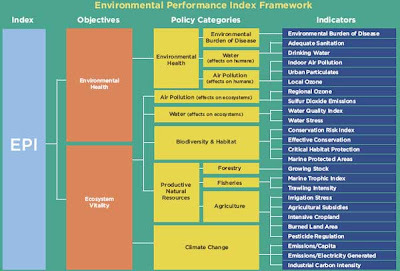 Yesterday was released the 2008 Environmental Performance Index (EPI), which tracks national environmental results on a quantitative basis, measuring proximity to an established set of policy targets using the best data available. The 2008 Environmental Performance Index (EPI) represents the result of extensive consultations with subject-area specialists, statisticians, and policymakers around the world, and was released by the Yale Center for Environmental Law & Policy from the Yale University and by the Center for International Earth Science Information Network from the Columbia University. 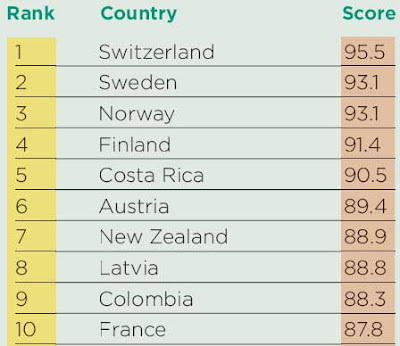 According to the ranking, Switzerland is the world's greenest country, followed by 3 Nordic countries (Sweden, Norway, Finland) and Costa Rica. Mali, Mauritania, Sierra Leone, Angola, and Niger occupy the bottom five positions. Top-ranked countries have all invested in water and air pollution control and other elements of environmental infrastructure and have adopted policy measures to mitigate the pollution harms caused by economic activities. The United States placed 39th in the rankings, significantly behind other industrialized nations like the United Kingdom (14th) and Japan (21st). The United States ranked 11th in the Americas, and 22 members of the European Union outrank the United States. The U.S. score reflects top-tier performance in several indicators, including provision of safe drinking water, sanitation, and forest management. But poor scores on greenhouse gas emissions and the impacts of air pollution on ecosystems dragged down the overall U.S. rank. Analysis of the drivers underlying the 2008 rankings suggests that wealth is a major determinant of environmental success. At every level of development, however, some countries achieve results that far exceed their peers, demonstrating that policy choices also affect performance. For example, Costa Rica (5th), known for its substantial environmental efforts, significantly outperforms its neighbour Nicaragua (77th). Nicaragua’s history of poor governance and political corruption, violent conflicts, and budgets skewed towards the military instead of environmental infrastructure no doubt adds to the disparity. Low-ranked countries typically have not made investments in environmental public health and have weak policy regimes. Marc Levy, Deputy Director of Columbia’s Center for International Earth Science Information Network and one of the EPI project leaders. 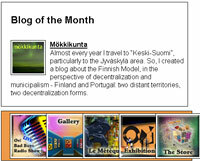 • promoting ecosystem vitality and sound natural resource management;. These broad goals also reflect the policy priorities of environmental authorities the world and the international community’s intent in adopting Goal 7 (*) of the Millennium Development Goals. The two overarching objectives are gauged using 25 performance indicators tracked in 6 well established policy categories, which are then combined to create a final score - Environmental Health, Air Pollution, Water Resources, Biodiversity and Habitat, Productive Natural Resources, and Climate Change. - Reduce biodiversity loss, achieving, by 2010, a significant reduction in the rate of loss. - By 2020, to have achieved a significant improvement in the lives of at least 100 million slum-dwellers.